A Health Savings Account, or HSA, is a financial account established by an individual or family to pay for qualified medical expenses tax-free. Health Savings Accounts can be opened by an individual, or offered by an employer alongside a high-deductible health insurance plan. Health Savings Accounts combine the benefits of both traditional and Roth 401(k)s and IRAs for medical expenses. Taxpayers receive a 100% income tax deduction on annual contributions, they may withdraw HSA funds tax-free to reimburse themselves for qualified medical expenses, and they may defer taking such reimbursements indefinitely without penalties. As such, Health Savings Accounts are growing in popularity. From 2006 to 2013 over 10 million adults acquired either an HRA or HSA plan. In 2013 over 11.8 million adults had an HRA or HSA, with total assets in these "accounts" over $23.8 billion. The sections outlined on our navigation bar provide more information about Health Savings Accounts. Happy reading, and click here to contact us for more information! 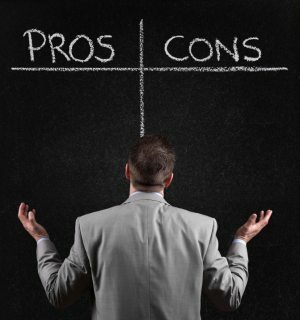 When evaluating Health Savings Accounts, consider these pros and cons. Contributions you make to the HSA, up to the annual limit, are tax deductible. Likewise, any contributions made by your employer are excluded from your gross income ("pre-tax"). All contributions remain in your HSA indefinitely until you use them. There is no penalty if you don’t use the money, and it rolls over year to year. Withdrawals used to pay qualified medical expenses for you, your spouse, and your dependents are never taxed. And, interest you earn on the account accumulates over the years tax-deferred, and if used to pay for qualified medical expenses is tax-free. The account is portable and yours to keep. It stays with you if you change employers or leave the workforce. With Health Savings Accounts there are annual contribution maximums which limit how much you can contribute each year. To contribute to a Health Savings Accounts, you are required to be enrolled in an HSA-Qualified High-Deductible Health Plan. With HSAs, the individual is the plan administrator. As such, many individuals find the rules and recordkeeping of HSAs to be complicated and cumbersome. This section provides an overview of how Health Savings Accounts are used, key features, and tips for maximizing an HSA. Health Savings Accounts (HSAs) are individual bank accounts owned by employees that allow for tax-free payment or reimbursement of eligible medical expenses. To be eligible for an HSA, you must also have an HSA-qualified high-deductible health plan. An employer usually offers an HSA-qualified high deductible health plan and an HSA. However, any individual with qualifying coverage can open an HSA on their own. Because HSAs are individually owned, an employee owns the account and can take it with them regardless of employment. Anyone may contribute to an HSA (ex: employer, employee, or third party). There are certain eligibility requirements to open an HSA ( Read more about HSA Rules and Requirements ). The maximum annual HSA contribution for 2015 is $3,350 (single) and $6,650 (family). HSA funds may be used on any unreimbursed medical care expenses as defined by the IRS (see Publication 502), and insurance premiums for unemployed individuals. HSA funds accumulate over time (they rollover year to year; they do not expire at the end of the year). The individual (not the employer) owns the HSA, and has continued access to the HSA regardless of employment. Withdrawals for non-medical purposes are subject to income tax and a 20% penalty tax. Once the account holder reaches age 65 (Medicare eligibility age), becomes disabled, or dies, withdrawals for nonmedical purposes are subject to income tax only, with no penalty. Interest you earn on the account accumulates over the years tax-deferred, and if used to pay for qualified medical expenses is tax-free. Withdrawals used to pay qualified medical expenses for you, your spouse, and your dependents are never taxed. If you're using the HSA as a retirement savings vehicle and/or you anticipate having a lot of out-of-pocket medical expenses in the future, aim to contribute the maximum amount allowed each year. Read more: HSA Rules and Requirements . You may spend the HSA money tax-free on out-of-pocket medical expenses, such as your deductible, co-payments for medical care, prescription drugs, or bills not covered by insurance such as vision and dental care. The IRS determines the types of medical expenses you can use tax-free with HSA funds. They are listed in IRS Publication 502. If you use HSA funds for non-medical expenses, you are required to pay taxes on the withdrawal, plus a 20% penalty before age 65. With a high-deductible health plan and an HSA, you (the health care consumer) have more control over the purse strings. As such, research and comparison shop. Most insurance companies now have tools such as online calculators to let you estimate the cost of big-ticket items such as an MRI or surgery. And, consider lower cost alternatives such as calling the 24-hour nurse line instead of going to the doctor's office for a minor ailment, and switch to lower-cost generic medication. Lastly, you must keep receipts for everything you purchase using your HSA. If your HSA is ever audited you will need a record of your expenses. The easiest way to do this? Take a picture or scan your receipts and keep them electronically. This section outlines Health Saving Account rules and requirements. You must not be claimed as a dependent on someone else's most recent tax return. With an HSA, anyone can contribute (employer, individual, family member, etc). Once deposited, all HSA contributions belong to the individual, regardless of who made the contribution. As such, any distribution and/or removal of funds from the HSA has to be authorized by the individual (not the employer). Many other requests related to the account (such as a request for a new debit card or request for an address change) can only be made by the individual. These rules are outlined in IRS Publication 969. This section answers frequently asked questions (FAQs) about Health Savings Accounts. To open an HSA, you need a high-deductible health plan (HDHP). This can be an HDHP that you purchase on your own, or through your employer. The IRS defines what is considered an HDHP. In 2015, your plan deductible must be at least $1,300 for individual coverage or $2,600 for family coverage. You can make pre-tax contributions (or tax-deductible contributions, if not through an employer) in 2015 of up to $3,350/year if you have individual coverage, or up to $6,650/year if you have family coverage. People age 55 and older can save an extra $1,000 per year. You can add money to the account until the tax-filing deadline (April 15, 2015, for 2014 contributions). How Can I use My HSA Money? You may spend the HSA money tax-free on out-of-pocket medical expenses, such as your deductible, co-payments for medical care and prescription drugs, or bills not covered by insurance such as vision and dental care. The IRS determines the types of medical expenses you can use tax-free with HSA funds. They are listed in IRS Publication 502. How Do I Invest my HSA Money? HSA administrators typically offer accounts that are easy to access for medical expenses. And, many HSA administrators or banks will let you shift money into mutual funds and other investments after your HSA account balance reaches a certain level. Can I Contribute to My HSA Account After Age 65? You can keep your HSA account at any age, but you can no longer make new contributions to the account after you have signed up for Medicare Part A or Medicare Part B, which usually happens at age 65. No. With an HSA, there are no income limits. You can keep the money in your HSA account after you leave a job, similar to a 401(k). There is no requirement to spend it before you terminate employment. How Does Health Reform Change HSAs? In 2011, the excise tax for non-qualified HSA withdrawals increased from 10% to 20%. What is the Difference between an HRA, HSA, and FSA? Health Reimbursement Arrangements (HRAs), Health Savings Accounts (HSAs), and Flexible Spending Accounts (FSAs) are all types of Medical Reimbursement Plans . However, each type has different benefits and requirements for employers and employees. Additional questions on Health Savings Accounts? Contact us. We’d be happy to help. This article outlines the Health Savings Account (HSA) for 2015 including contribution limits, minimum deductibles, and out-of-pocket maximum rules. >> Read more. The Affordable Care Act (known as ACA, ObamaCare, or health reform) was signed into law in 2010 and impacts many areas of health care and health insurance, including medical reimbursement programs such as HRAs, HSAs, and FSAs. >> Read more. Health Savings Accounts (HSAs) are financial accounts established by an individual or family to pay for qualified medical expenses. This article outlines ten frequently asked questions (FAQs). >> Read more. Which is better: A Healthcare Reimbursement Plan (HRP) or a Health Savings Account (HSA)? The answer depends on what you are trying to accomplish and whether you are an employer or an employee. For most employers HRPs are superior to HSAs. >> Read more. HSAs vs. FSAs - What is the Difference? Two popular forms of ABHPs are health savings accounts (HSAs) and health flexible spending accounts (FSAs). This article compares these two types of ABHPs. >> Read more. Account-based health plans are increasing in popularity, especially in light of the changes due to the Affordable Care Act (ACA). The following article provides a brief overview of the four main types of medical spending accounts used with ABHPs. >> Read more. The Affordable Care Act (ACA) has impacted many areas of healthcare and health insurance. As such, the rules for account-based health plans, including health savings accounts (HSAs) have changed. This article discusses how healthcare reform and the ACA have impacted HSAs. >> Read more.